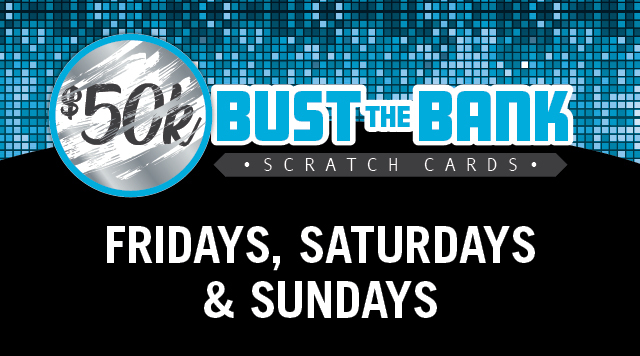 Earn 350 Points* or 35 Table Points for your shot at $50,000 CASH! Every scratch card is a guaranteed winner! *Same day base points. Max two (2) per player, per day. While supplies last. See C.A.N. Club® for details. Management reserves all rights.